It is wrong to think the centers of compressions / rarefactions of a longitudinal traveling wave are the counterparts of the crests/ troughs of a transverse traveling wave. They are not because the displacements of the particles at the former are zero while those at the latter displace from thier equilibrium positions the most. Besides, particles at centers of compressions (rarefactions) have the greatest speed, and moving in the same (opposite) direction of the wave propagation. Particles at the crests / troughs of a transverse traveling wave are momentarily at rest. Actually, the compressions / rarefactions of a longitudinal wave correspond to the two "steepest hillsides" of a transerse wave. 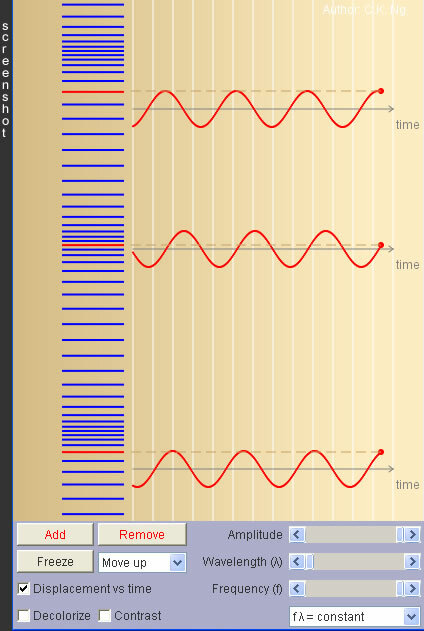 In the figure below, the direction to the right (left) in the longitudinal wave is transformed to upward (downward) direction in the tansverse wave.